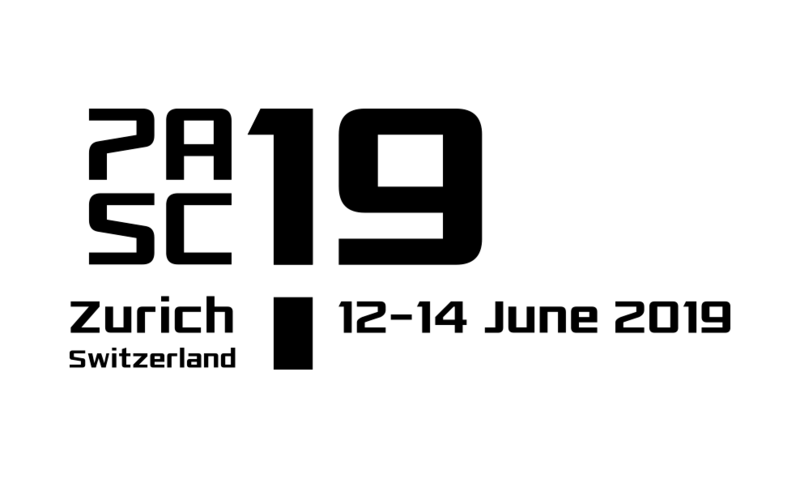 The PASC18 Organizing Team is pleased to announce that this year’s panel discussion will be focussed on the central theme of the conference: “Fast and Big Data, Fast and Big Computation.” The panelists, Nuria Lopez(ICIQ, Spain), Matthias Scheffler(Fritz Haber Institute, Germany), Torsten Schwede(University of Basel, Switzerland) and Eng Lim Goh(Hewlett Packard Enterprise, US), will provide their perspectives from different academic fields, and from industry. Furthermore, we would like to remind students and their supervisors about the opportunity for students to participate in the conference as volunteers. Applications for this program will close on May 29, 2018. PASC18 Panel Discussion: Big Data vs. Fast Computation – Is HPC Facing a Game Change? This panel discussion will address the main theme of PASC18: “Fast and Big Data, Fast and Big Computation”. Are these two worlds evolving and converging together? Or is HPC facing a game-changing moment as the appetite for computation in the scientific computing community and industry is for a different type of computation than what we’re used to? The panelists will discuss the critical challenges facing key HPC application areas in the next 5-10 years, based on a mix of knowledge and speculation. We will explore whether we need to make radical changes to our practices, methods, tools, and techniques to be able to use modern resources and make faster and bigger progress on our scientific problems. Do the current and projected developments of HPC systems and HPC software match the needs of computational scientists? Can we influence these developments in any meaningful way, or is it just a matter of adapting to the (new) hardware? Do computational scientists need to learn and apply techniques and algorithms from other areas, such as artificial intelligence and machine learning? Or is it that the other areas need to learn how to use and apply HPC to their algorithms? Prof. Nuria Lopez(ICIQ, Spain) will bring expertise from the chemistry domain. Prof. Matthias Scheffler(Fritz Haber Institute, Germany) will bring expertise from the physics and materials domains. Prof. Torsten Schwede(University of Basel, Switzerland) will bring expertise from the life sciences domain. Dr. Eng Lim Goh (Hewlett Packard Enterprise, US) will provide a perspective from industry.